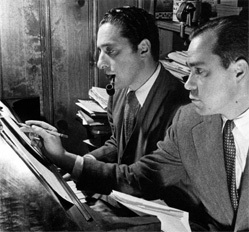 “This Time The Dream’s On Me” was written for the 1941 film musical, Blues in the Night which also featured the title song. Blues in the Night is a somewhat film noir musical about a down-on-their-luck band that plays blues music. This time the dream’s on me.